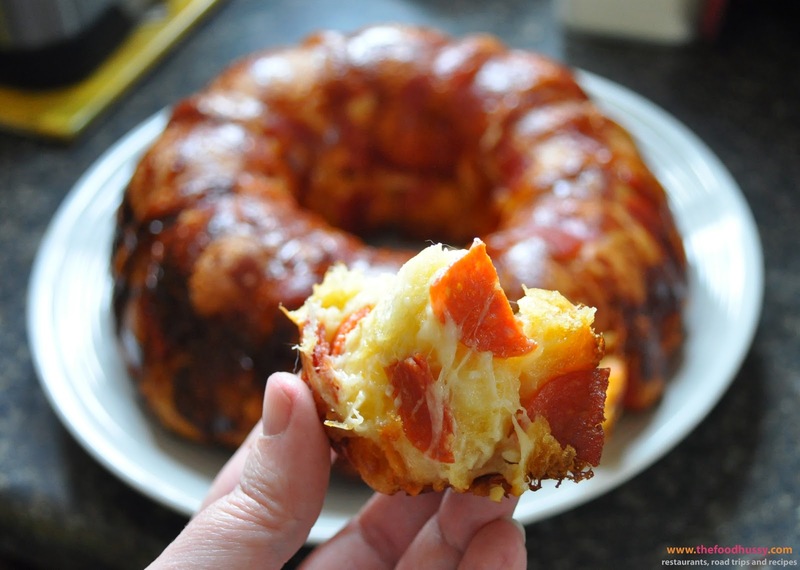 Recipe: Pull Apart Pepperoni Bread | The Food Hussy! 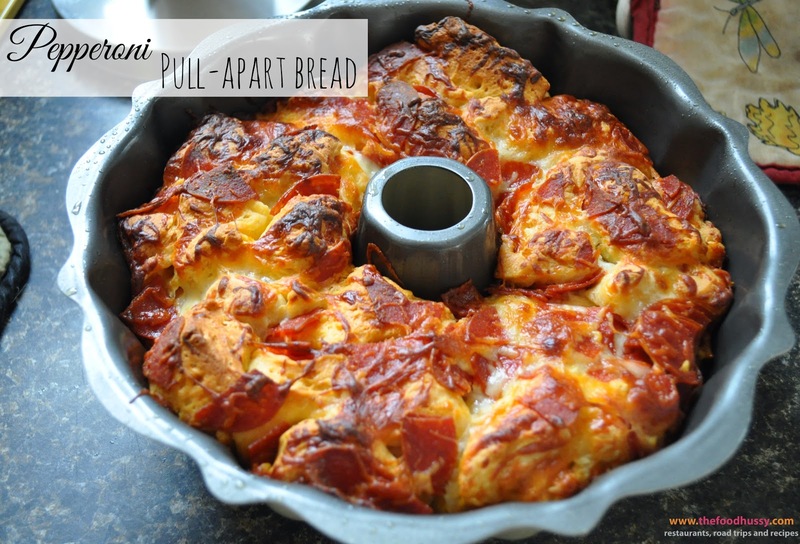 Recently for work I needed to make pepperoni pull-apart bread (also known as monkey bread) - I thought this was a pretty easy item that would definitely get gobbled up in my house. And I have to say - it's pretty fun to make! You need a bundt pan - well probably don't "need" but it works great with one. Then you take 2 cans of biscuits and cut them into 4 pieces. I used one large can of buttery Grands and another can of the cheap 50 cent Kroger biscuits. I just cut these up with scissors - it was really fun - and a great way to get the kids involved. I don't know what it is but the texture of the scissors going through the biscuits was like playdoh! 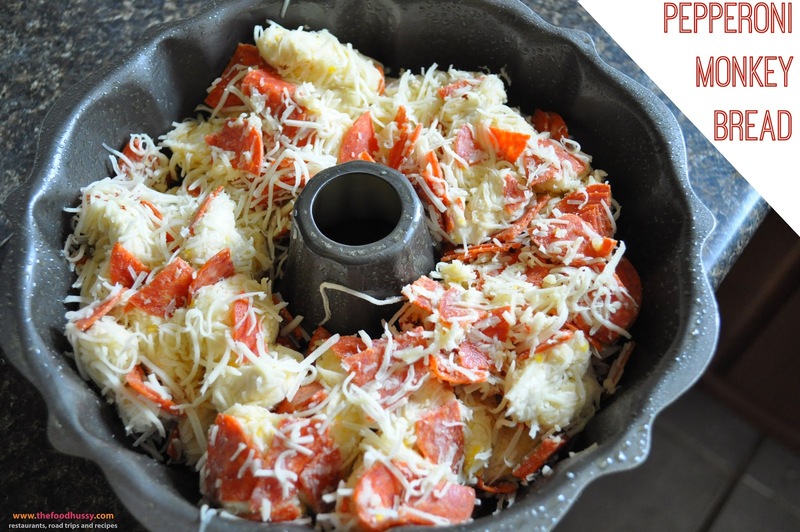 Then in a large bowl you put the biscuit pieces, pepperoni (cut in to 4s), garlic and a bag of shredded cheese. Stir this up real good. Then - spoon into the greased bundt pan. If you want to make a smaller batch you could likely just cut in half and use a smaller baking dish. Bake at 350 for 30 minutes and you're done. There's no way you can look at that and not drool a little bit! I couldn't stop myself from digging in and grabbing a bite. It was delicious!! I think using the butter biscuits added a lot of flavor. I actually took this for lunch for a couple of days - so it stays good in the fridge as well (you just need to heat it up quick in the microwave). 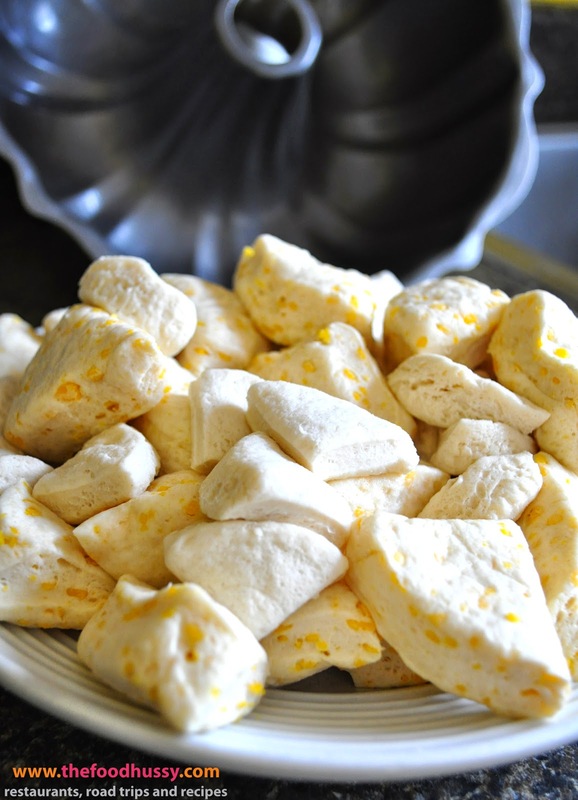 This is great for a potluck or a party - it's easy hand food and delicious! 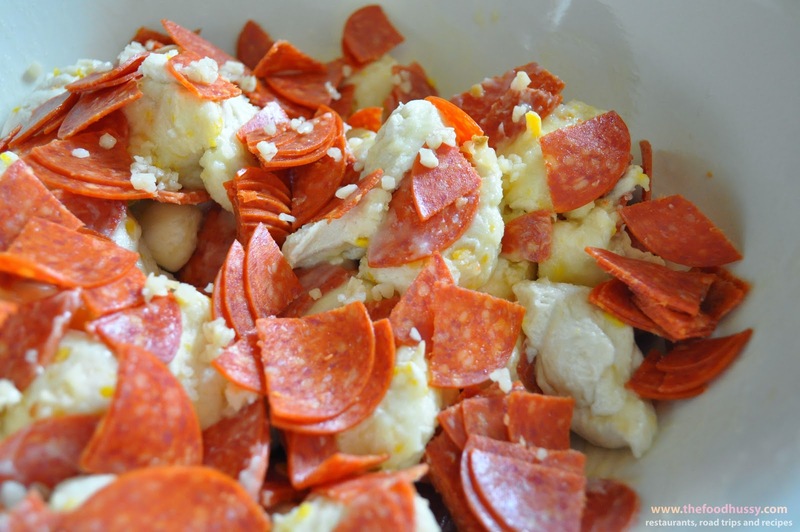 Serve with a bowl of pizza sauce and enjoy!